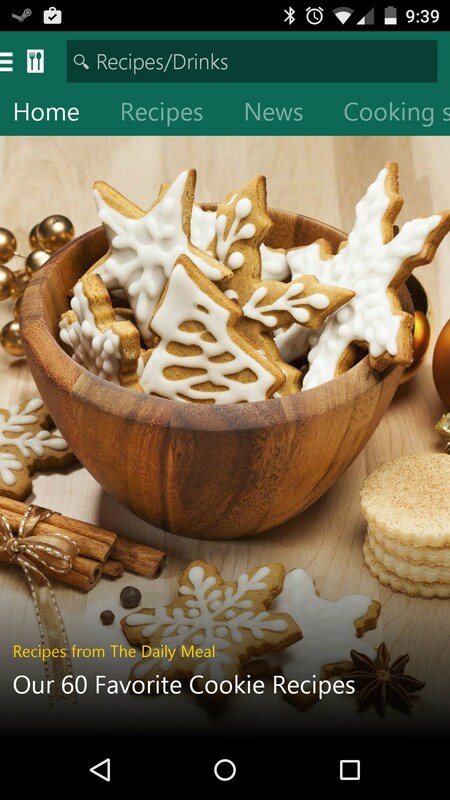 MSN Food & Drink - Recipes – Soft for Android 2018 – Free download. 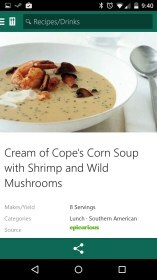 MSN Food & Drink - Recipes – A great food and drink app that could use more recipes. 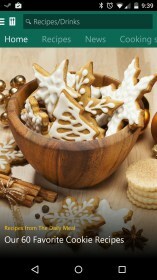 MSN Food & Drink for Android is another app by MSN to help you manage your lifestyle. This one in particular aims to arm you with a plethora of helpful recipes for food and drink. Some healthy, some not so healthy. 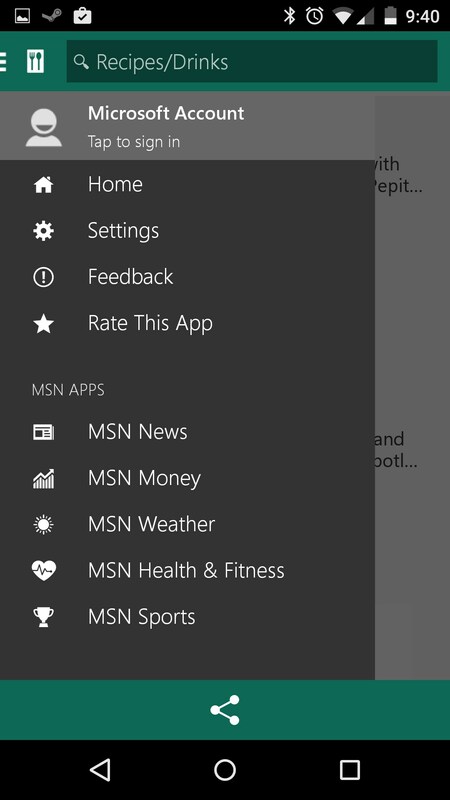 If you’ve used any of MSN’s recent apps then you’ll be instantly familiar with this one’s set up. I’m actually a bigger fan of the layout in this app simply because it’s a bit more straight forward in the way it presents information and options. The Home tab is where you’ll start your journey, and it displays a big, beautiful picture of a featured recipe. 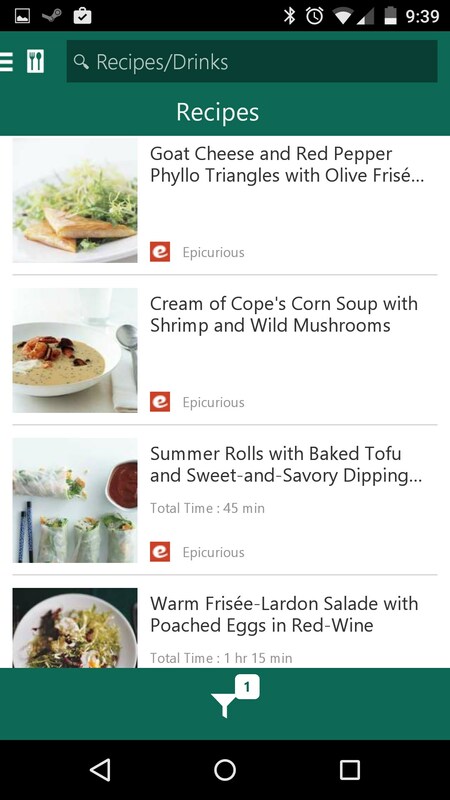 You can swipe down for other featured items, and you can also swipe right through different tab categories like recipes, news, wine, how-to’s, and a ton of other things. You can search for things through the search bar. Not especially revolutionary, and it spits back instant results as it tries to predict what you’re searching for, which is pretty neat. 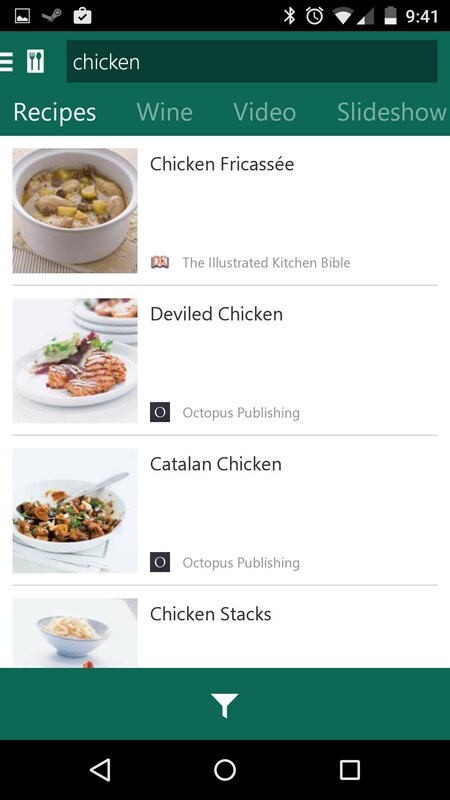 Even though the app pulls recipes from a number of different sources, there were times where I looked for something generic, like chicken, and couldn’t really find a lot of recipes involving chicken. 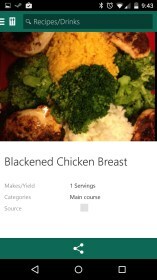 The app features video recipes, slideshows, and then your typical recipes. 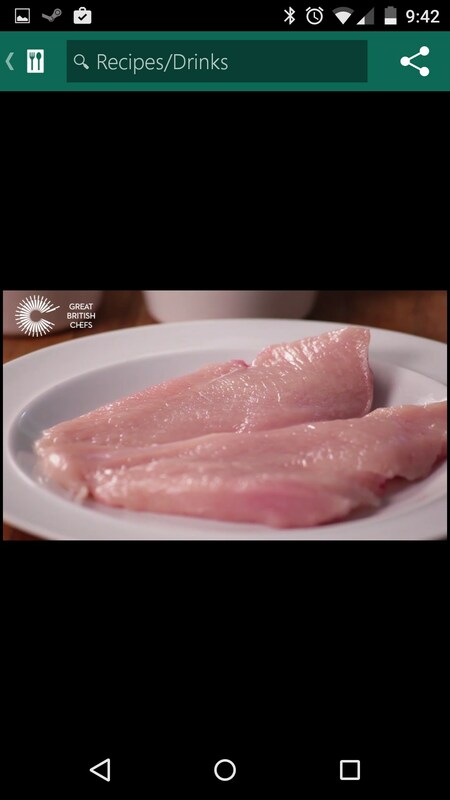 It pulls all of this off pretty well, but while the recipes have an ingredient list, they have very few pictures, and there is no nutritional information either. MSN Food & Drink is a surprisingly expansive app, mainly in that it’s not really something you’d expect from MSN. 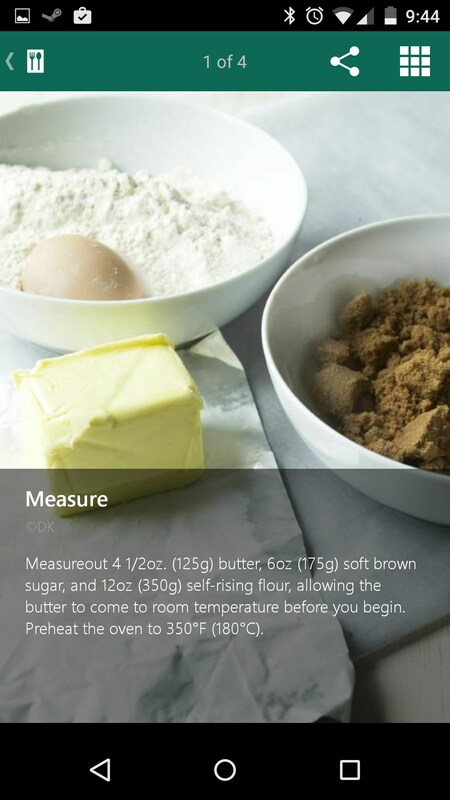 The app’s UI is very easy to use, it looks great, but it could definitely use a bigger library of recipes; and the inclusion of nutritional information would be awesome. Collections and Shopping list not showing on android app. Works wonderfully on Win 8.1 PC tho. It is possible that not all the features available on the PC version have made it into the Android one.